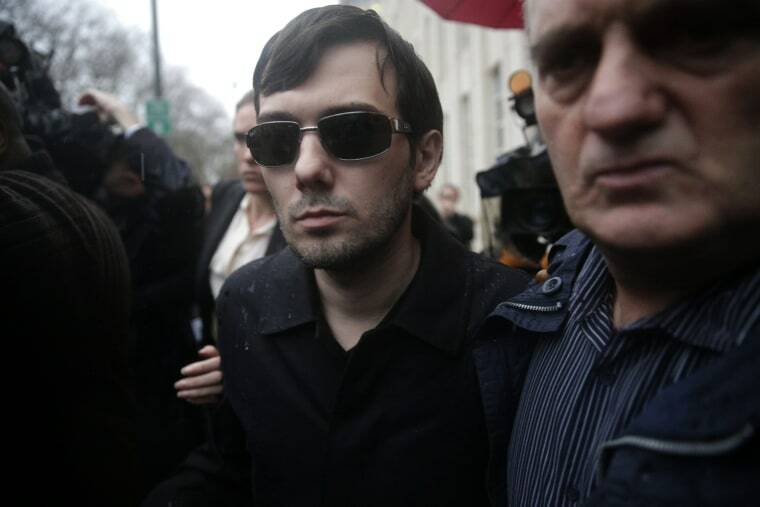 Did Martin Shkreli Engineer Fake Takeover of Health-Care Firm? Four years before being arrested on securities fraud charges, pharma bad boy Martin Shkreli and his hedge fund were suspected of faking a takeover bid for a then-publicly traded health-care company, SeraCare — suspicions that were made known to federal authorities in 2012, according to a shareholder of that company. The curious facts surrounding Shkreli's purported effort to buy SeraCare in 2011 echo claims in the new indictment against the former hedge fund manager, which allege that he repeatedly misrepresented his fund's performance and the size of its assets under management in an attempt to make it appear the fund was much bigger than it actually was. Shkreli was arrested Thursday in a probe of his actions involving his hedge fund MSMB Capital Management and as CEO of biopharmaceutical company Retrophin. In the SeraCare matter, Shkreli made an offer in June 2011 to buy the company for $4.25 a share. "We strongly believe that the Board of Directors should find our offer to be fair and in the best interests of the Company's stockholders," Shkreli said in a letter sent to SeraCare's board. At the time Shkreli claimed he wanted to buy SeraCare, his hedge fund was actually suffering steep losses, Thursday's unsealed indictment alleges. Public documents reviewed by CNBC also reveal that some shareholders of Massachusetts-based SeraCare "were not convinced the offer" from Shkreli's fund "was serious." A person close to SeraCare told CNBC that some board members were also likewise doubtful about the offer, and also questioned Shkreli's ability to pay. Even bankers advising SeraCare were skeptical of Shkreli's fund, saying "they understood it to be a relatively small fund that likely would be unable to complete a transaction without third-party financing," according to SeraCare's filings. Publicly available stock-trading information also suggests that, at nearly the same time Shkreli disclosed to regulators that he owned 5.17 percent of the company, he may have amassed an equally large short position. That strategy, known in Wall Street parlance as "boxing," is common in trading circles but is rarely, if ever used, when trying to buy a company, experts say. That's because Shkreli would have been left with no significant net ownership stake in the company had the deal gone through. Trading data examined by CNBC show that while Shkreli publicly disclosed ownership of more than 950,000 shares in SeraCare in July 2011, the "short-interest," or number of shares investors were betting against the company, dramatically spiked virtually overnight to nearly the same number of shares. That spike came after short interest in Seracare had hovered at just around 70,000 shares for weeks prior. The SeraCare shareholder told CNBC on Friday that he noticed the unusual activity in the stock, believed it was Shkreli responsible for the large short position and doubted that Shkreli really wanted to buy the company. The shareholder said he later notified the U.S. Attorney's Office in Brooklyn and the SEC in 2012 of his belief that Shkreli had lied in a securities filing connected to his ownership of SeraCare's shares. In that February 2012 filing, Shkreli stated that he had sold almost 1 million shares of SeraCare stock on Valentine's Day of that year. But the shareholder told CNBC he believed that filing was false because the total trade volume in SeraCare's shares on the day of the alleged sale was 300,000 or so shares less than what Shkreli had purportedly sold. Instead, the shareholder said he believed that Shkreli had actually quietly liquidated whatever position he still held in SeraCare in the weeks or months before that filing. The shareholder said that an official of the SEC contacted him four months later to acknowledge receipt of his allegation, but did not pursue the matter further. SeraCare was later was sold to another company for less than Shkreli's bid. An email by a CNBC reporter to Shkreli's attorneys asking for comment on this story has not been returned. The U.S. Attorney's office also declined comment. Shkreli, 32, faces up to 20 years in prison if convicted on the charges of securities fraud in the MSMB and Retrophin case. Scott Wapner is host of the "Fast Money Halftime Report," which airs on CNB, weekdays from 12 -1p.m. ET. Dan Mangan is a reporter covering health care for CNBC.com. Mangan has been a journalist for more than 20 years, most recently as a general assignment/rewrite reporter at the New York Post. In his more than dozen years at The Post, Mangan routinely covered major stories, including the 9/11 terror attacks, the Bernard Madoff Ponzi scheme, the 2008 financial meltdown and a slew of juicy Gotham scandals du jour, among them the personal tribulations of Yankee slugger Alex Rodriguez.